Use TB19BY4 to reference this item. 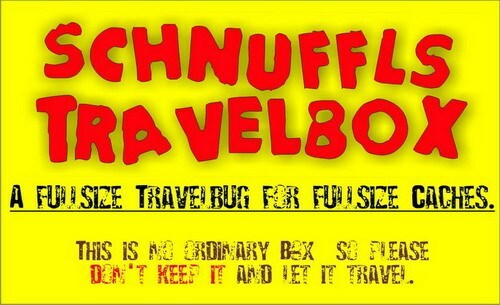 A fullsize Travelbug for fullsize caches. Move from giant cache to giant Cache or hand it over from one cacher to another but keep it moving. No further goal. 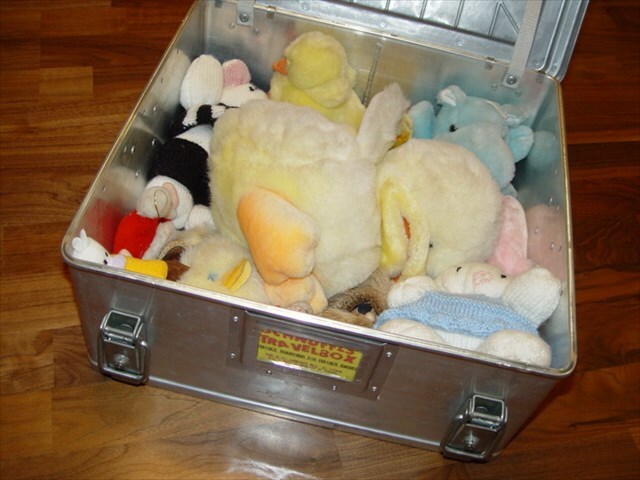 Just a big, big Alloybox full of plush animals. If you like one of the cuties take it. Move the box from cache to cache (at least if it fits there). 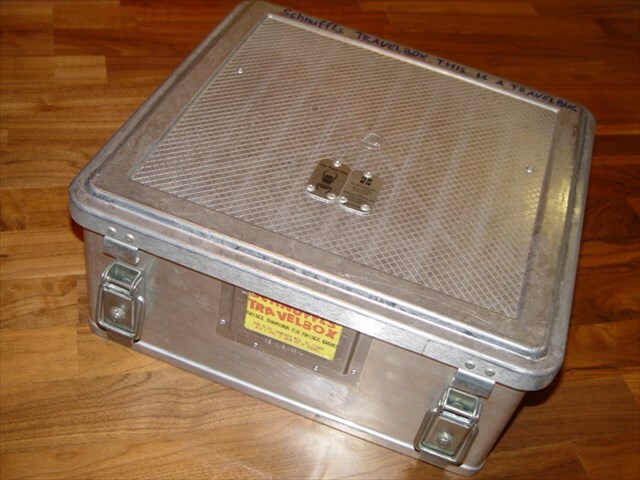 If the box is too big, your cache is too small. Heute im 9XL Cache gesehen. Danke fürs Zeigen! Discovered in GC 9XL in Haibach, Germany. In einer wirklich großen Dose gesehen, gute Reise! Durch Zufall im Cache "9XL am Dörngraben" gefunden! Ich habe mich sehr gefreut und natürlich auch gleich discovert! Heute im 9XL am Dörngraben entdeckt. WÜNSCHE EINEN GUTEN RUTSCH IN'S CACHERJAHR 2019!! !